PRICE: FREE, just show up! 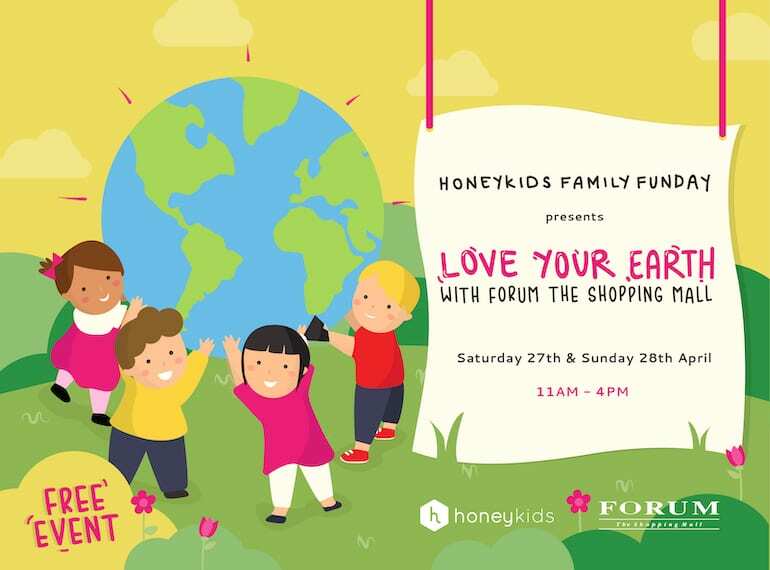 We’re ready to give Mother Earth a little more love at our HoneyKids Family Fun Day presents Love Your Earth with Forum The Shopping Mall. We’re all about green at this event, including shows, workshops and hands-on activities. Bring the whole fam along for an event that’s not only off-the-scale fun, but also a great opportunity to teach little ones more about how to keep our for good for the planet. We’ve also got plenty of great offers from S.E.A. Aquarium and Kind Kones. Stay tuned to the FB event for updates on all the cool details as they roll in!